Leave aside for a moment questions of due process. Analysis of Saudi Arabia’s three largest corporate failures explains why Crown Prince Mohammed bin Salman’s recent moves look more like a power and asset grab than a credible effort to eradicate corruption. Dependency on government contracts was at the core of the bankruptcy of Saudi Oger, owned by the family of embattled Lebanese Prime Minister Saad Hariri, and the near-demise of the Saudi Bin Laden Group. Granted, the $22 billion downfall of 70-year old Ahmad Hamad Algosaibi & Brothers Company (AHAB) that took down two Bahraini banks as well as the Saad Group in one the largest financial collapses of the 2009 global credit crunch, occurred because of mismanagement, lacking corporate and financial governance, and allegations of fraud, theft and forgery. Yet, like the Bin Ladens and the Hariris, a major chunk of the group’s business was with the government, selling steel piping to Saudi Aramco, the kingdom’s national oil and natural gas behemoth. The settlement of the collapse with more than 100 banks was long viewed as a litmus test for foreign investors. For Saudi Oger and Bin Laden, the government’s predicament meant cancellation of projects and failure to pay. The government’s default had a ripple effect, including the companies’ inability to pay their workers, who in a country in which protests are banned, took their plight to the streets. What emerges from the failures is the vulnerability of major private corporations at a time that government, the dominant economic player, was forced to diversify, rationalize, and cut costs. The failures also highlighted the lack of oversight of corporate governance. Ironically, a raid on the Saudi mansion of the head of the Saad Group, Kuwaiti billionaire Maan al-Sanea, two weeks before Prince Mohammed’s arrest of some 200 princes, officials and businessmen on charges of corruption, set the stage for the purge. The history of the troubled companies as well as Mr. Al-Sanea’s detention speak to a system in which beyond private enterprise dependency, members of the ruling family were rentiers of the state since its founding and allowed to drink at the trough, and concepts of conflict of interest were non-existent. Transparency and accountability did not enter the equation in a country that did not tax companies or individuals except for zakat, a religious obligation for all Muslims who meet the necessary criteria of wealth. Instead, the social contract that is now being unilaterally rewritten by Prince Mohammed involved popular surrender of political rights, adherence to a strict social code, and acceptance of an absence of transparency and accountability in exchange for cradle-to-grave welfare. Despite citizens being asked to increasingly contribute by moves towards market rates for services and the planned introduction of indirect taxes like a highway toll, there is no accountability with billions of dollars that the inhabitants of Riyadh’s Ritz Carlton Hotel-turned-gilded prison are being asked to surrender and transfer to a finance ministry account in exchange for their freedom. What happens to those funds once they have been transferred remains unclear. In other words, transparency and accountability do not figure in Prince Mohammed’s top-down moves. Aides to Prince Mohammed have asserted that the arrests were the result of almost three years of investigations. No details of those investigations have been made public nor have their results been interrogated by a credible and independent judiciary. The assertion would explain why the government announced the establishment of a new anti-corruption commission headed by Prince Mohammed only hours before the purge and why its functions were seemingly primarily defined as an arm of law enforcement rather than a vehicle to create an anti-corruption legal structure that would also govern the commercial relationship between the government and members of the ruling family. The commission’s powers include the ability to detain suspects, seize their assets and ban them from travel. The impression that power and assets rather than anti-corruption drove Prince Mohammed in his purge is enhanced by the fact that it appears designed to intimidate and put the kingdom’s elite on notice. There has been neither a decree nor a process in the country’s Shura or Advisory Council to draft legislation as well as rules and regulation that would create a legal anti-corruption infrastructure, govern the way government agencies do business, and set a template for defining and preventing conflict of interest. While one could argue that Prince Mohammed needed to set an example, that effort appears undermined by the fact that the alleged investigations and arrests have a selective or arbitrary taste to them. Fact of the matter is that in the permissive environment that was written into the kingdom’s DNA at founding, few, if any, members of the ruling family are likely to emerge with flying colours. All of this, explains with the kingdom’s elite was caught off guard even though Mr. Al-Sanea’s arrest should have set off alarm bells. Instead, the ruling family and the business community saw the arrest as a one-off event in a long-standing financial sage. 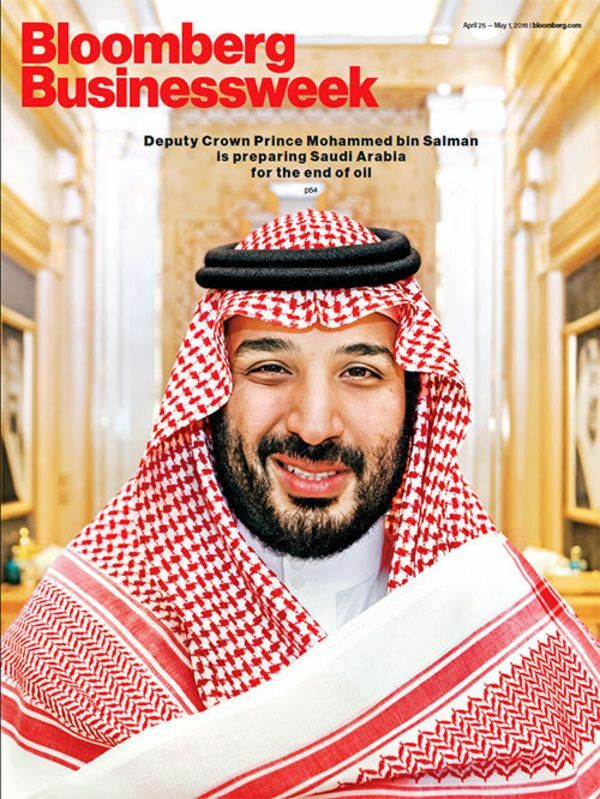 It also clarifies why the elite grossly underestimated Prince Mohammed’s brashness and ruthlessness and ignored his warning in June that “no one who got involved in a corruption case will escape, regardless if he was a minister or a prince." For anti-corruption to be perceived as the main driver of the purge, Prince Mohammed will have to introduce due process, transparency and accountability to the process. In theory, that would mean targeting all who potentially could be under suspicion, an approach that would be tough, if not impossible, in an environment in which the suspicion of guilt is likely to include many who were not detained, rather than only some. Instead, Prince Mohammed would be better advised to focus on structural and institutional change.